Discover Your Essence : NEW Online Course! Welcome to the registration page for the Discover Your Essence Program. In this process, you will be embarking on a deep journey of self discovery that will accelerate your personal evolutionary path. Please bookmark this page as each of the recorded classes will be posted here as they are completed. Below are 2 links to your pre-course questionnaire, formatted in MS word and pdf. Please complete your questionnaire in your preferred format (either is ok) and email it to me at julie@diamondlightworld.com by 17 January so I can complete your personal profile prior to the course. Your personal profiles are manually generated and not computer processed. This inspiring program is based on the profound Spiral Dynamics and The Michael Teachings. The content and delivery gives you deep insight into yourself and others, thereby supporting your relationships at all levels and in all ways. Only when we know and understand ourselves as well as our soul and personality dynamics can we ultimately transcend our limitations to live our highest expression. You will receive a full workbook manual, your own personal profile and the workshop is interactive to support integration of the information. 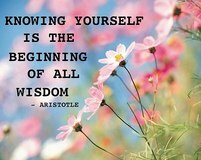 The wisdom you will gain will inspire your continued learning long after the course itself! All sessions will be recorded so if you are unable to join Live, you will have the opportunity to catch up in your own time. This four-part online journey is based on the Living Your Life Map program designed and developed by Judie Nel of Gearchangers, South Africa.